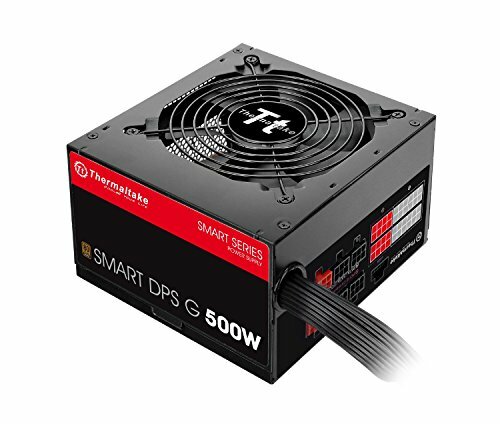 Take total control over your power needs, digitally, with the Thermaltake Smart DPS G Series Power Supplies. With 80 PLUS Bronze Certified models, deliver high efficiency under real world load conditions to provide exceptional platform performance. Monitor your efficiency, power consumption, voltage and more, in real time, with the Smart DPS App 2.0 Software. Stay silent with an ultra quiet Fan, controlled by the DPS G App 2.0 Software available free online. Extend OC performance and increased stability with high quality Japanese Capacitors. With all flat, all black cables, gain a professional look and go digital with the Thermaltake Smart DPS G Series Power Supplies.